Has God done something great in your life recently? We want to hear about it! The goal of this Miracle Board is to glorify our God almighty, and provide a place where people could come and read about what God is doing in the lives of others. Our God is an awesome God, and our living testimonies are proof of that. So please use this Miracle Board to read or post your miracle reports HERE. Custody of Kayden Praise God! The hearing went great and they're letting Travis keep Kayden all night and told him if they don't give him the extra time to have the lawyer call the judge and he would make it happen. 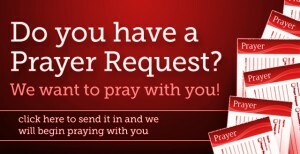 Requested prayer for a vascular study to check the pressure in both legs. The findings were normal. Thank you for the prayers and thank God. Spiritual strength. My blood count was down in the lower 40s for years. I had briefly tried iron medication but was allergic to it and had to stop. I had given up on being able to get the count to go up. During a service Pastor Dana spoke a word that someone's blood level was going up. As he passed by me he also said "you are not anemic any longer". I had a routine blood test about a week later and my blood count was in the 80s! I have a testimony. Prayer is a part of my every day. Wednesday night, I felt impressed to pray for my mother, Dora Young. I prayed. Thursday morning, the urgency was greater. I continued to pray for my mom. On Thursday, my 72 year old mom was mowing grass. The mower had the handle tied down to keep it from shutting off if you let go or slipped your grip. She look at it and said "I dont like that," and removed the rope. A few minutes later, she slipped and went 10 feet down an embankment with the mower. She walked away shaken but okay. God is good! Requested prayer for blood tests. All blood tests came back normal. Thank you and thanks to God. His eye is still sore so please keep him lifted up. His eye is healing and his speech ok now Praise God. Please pray for my financial situation to improve and that my clientele at the salon will increase! I am having trouble paying my bills. In Jesus name! Amen! Thank you and God bless you! Please pray for my cousin's newborn baby he was born a month early today and is having trouble breathing his name is Bentley. Please pray that my visit to my neuro-surgeon will go well. Thank you. Hello. I would like to request prayer for my daughter, Emily. She has been married to an abuser for three years and now has had my grandson, Gunner, who is just 5 weeks old. Her husband is extremely volatile, controlling, and abusive. I thought that the baby and my prayers would have changed him but he is still abusing her. I continue to believe God for their protection and her escape from the enemy. Thank you for your prayers! My precious granddaughter is transgender. She is saved and filled with Holy Spirit. She thinks its her, but it's a spirit oppressing her . Please agree with me for her deliverance.